Audioburst and LG Electronics are lifting the curtain--but ever so slightly--on a collaboration to create an in-car entertainment and information system that would use voice search and artificial intelligence to react to what drivers say they want, in a personalized, precise way. Right now the Audioburst Deep Analysis API and its application by LG are in “stealth mode,” with full details to come at the Consumer Electronics Show in January in Las Vegas. 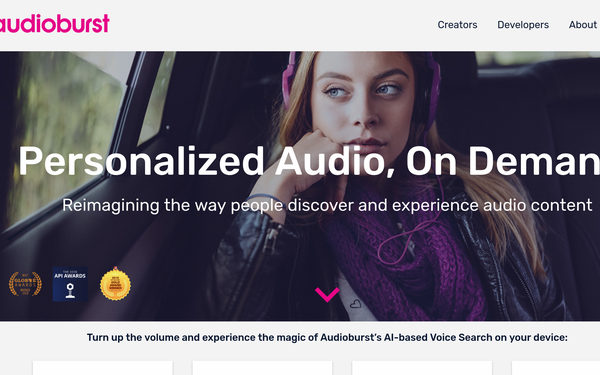 Audioburst, launched in 2014, is an AI-powered voice search platform that connects listeners to audio content, so that, for example, someone could ask for a very specific type of music, or news about a specific event, and get back personalized content. The Audioburst AI platform listens to, understands and indexes millions of minutes of audio content from all over. It’s backed by an array of investors and media companies and deals with tech companies including Samsung and Bose. The audio company says it produces more than 28 million pieces of information every 24 hours. With thousands of sources, Audioburst Deep Analysis is arming LG and others with a motherlode of data. All of that data, plus explicit commands, allows Audioburst to know fairly exactly what drivers want, able to distinguish between interviews with Freddie Mercury or interviews with Rami Malek about playing Freddie Mercury in “Bohemian Rhapsody,” for example. And it can distinguish types of conversations, in everything from a newscast to a podcast. Automobiles are already jam-packed with technology and even rudimentary artificial intelligence. There’s more to come. “Automotive makers are seeking to redefine what in-car infotainment looks like alongside the progression of voice search, in-car personal assistants, and autonomous driving,” said Vice President Lee Sang-yong, head of LGE vehicle infotainment system research lab, explaining how the CES show will be a showcase for automakers it already supplies infotainment systems to.